13-year-old married off in Meah Sharim neighborhood of Jerusalem, leading to police intervention. Israeli police shut down an illegal wedding in Jerusalem early Friday morning, after it was discovered that the bride was five years below the legal age for marriage. 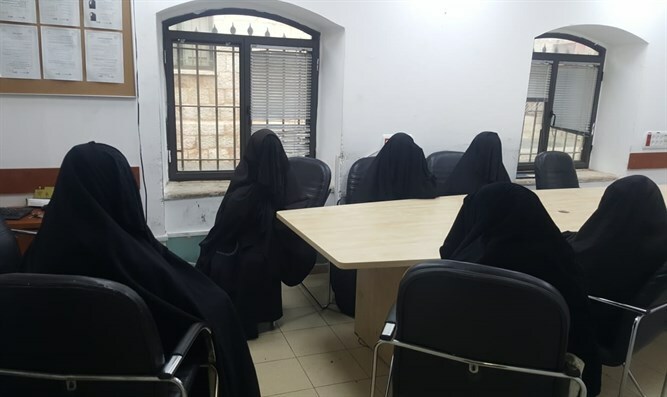 The wedding was held on the roof of a building in the predominantly haredi neighborhood of Meah Sharim in the capital in the early hours of the morning Friday. After police learned of the wedding, officers were dispatched to shut down the event and question those involved. According to investigators, both the bride and groom are minors – the bride being just 13 years old. The legal age for marriage in Israel is 18, though under extenuating circumstances, family courts are empowered to permit minors as young as 16 to get married, if a social worker clears the request. The Knesset raised the legal age of marriage under normal circumstances earlier this month from 17 to 18, despite opposition from haredi lawmakers. After police shut down the illegal wedding, the bride’s mother, the bride, three other minors, and two women involved in the wedding were detained for questioning. Authorities say the bride was reported missing by her father two months ago, and suspect that her mother hid her until the wedding.